Thank you all for another great Walk & Roll year! With your help, Block Electric raised $8,900 and the Chicago Electrical Industry raised $200,000 for the American Cancer Society’s 2016 Walk & Roll event. Together, we continue to save more lives from cancer. 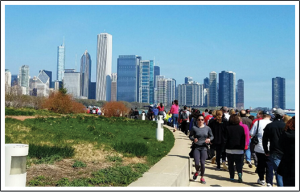 Since 2011 Team Block has raised more than $84,000 in donations for the American Cancer Society through our participation in the Walk & Roll event in Chicago every Spring.